A Hometown Alaska listener asked for a show on CBD. I was interested because a friend had just recommended CBD oil for foot care. Another used CBD oil to soothe anxiety. I read that it could reduce inflammation. CBD, a substance derived from hemp and applied via drops and tinctures or salves, is widely available in all 50 states, though is not legal in all 50 states. A little more digging, and CBD shows up as a recent FDA-recognized treatment for a serious form of childhood epilepsy. But the FDA has also reached out to many CBD sellers across the United States to walk them back from unsubstantiated health claims, for example, that CBD is a successful cancer treatment. So what’s a consumer to do? What health claims can you count on? Since CBD is essentially unregulated, how do you know what you are getting? Recent news stories from Utah and from Fort Bragg, North Carolina, reported on tainted CBD that sent users to the emergency room. What questions should you ask so you know what you are getting? 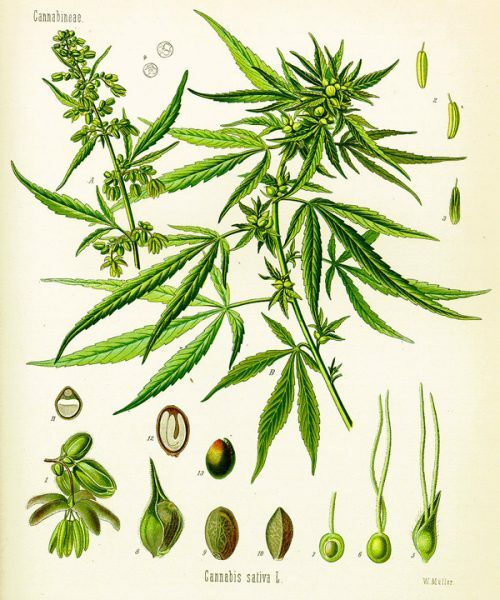 Health Canada defines hemp as products of Cannabis Sativa which contain less than 0.3 percent THC, whereas US law defines hemp as all parts of any Cannabis Sativa plant containing no psychoactive properties, except for defined exceptions. While common and often legal, CBD is an unregulated substance. Buyer, beware. Join us for a lively discussion on CBD. Your questions and comments are always welcome throughout the program. CBD: Is it legal? Does it work? Research on the marijuana extract, Journalist’s Resource, Shorenstein Center on Media, Harvard Kennedy School. Ellementa, a women’s network focused on health, wellness and cannabis; Meeting on CBD topicals and tinctures 7 pm, 7.26.2018, The Look. LIVE: Monday, July 23, 2018 at 2:00 p.m.
REPEAT: Monday, July 23, 2018 at 8:00 p.m.